Lucy once again wants to please her athletic boyfriend, who is a sports nut. 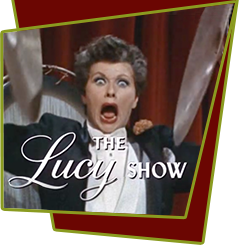 To impress him, Lucy continues to exaggerate her ability to play any sport. In reality, she stinks at all of them. After bragging how good she is at winter sports, he invites her on a ski trip for the weekend. Lucy talks Mr. Mooney into giving her skiing lessons at the house. Mooney suffers at the hands of the redhead who's armed with sharp poles and long skis suitable for whacking him on his rear. When Mr. Mooney's skiing lessons end in catastrophe, Lucy schemes to teach herself.